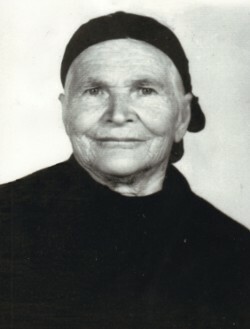 Above: A portrait of my mother, Sussana. 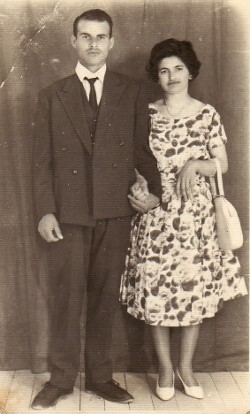 Above Right: Here I am with my late wife, Evangelia Kourtis); we are engaged. I had been living in Athens since I was 13 years old, where I worked in factories and construction sites. 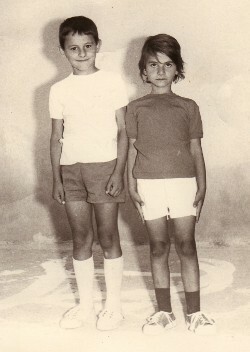 Above: Here is a school photograph of my two children, Yiannis and Eleni. 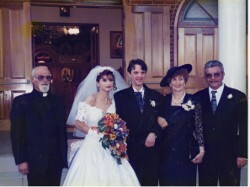 above Right: At my daughter, Katerina’s wedding at St Catherine Orthodox Church, Mascot. From left, we are:Myself, Katerina, Aristotelis Balatsias, Ari’s mother, Paraskevi and his father, Ioannis. While working in Athens, Simeon undertook studies at the Night Theological College; he was ordained a Greek Orthodox cleric in 1976.